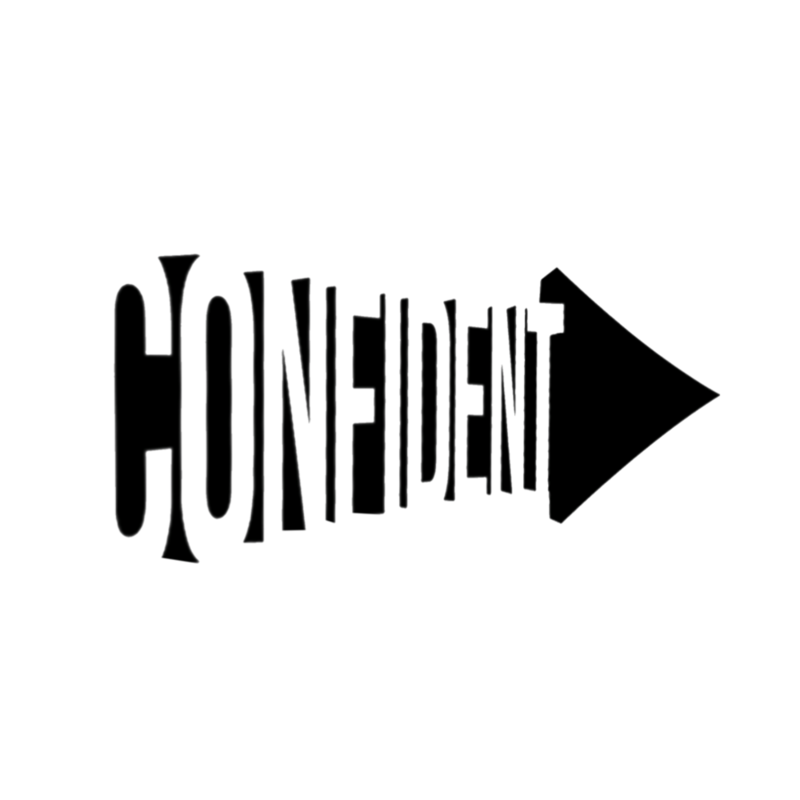 Adam Marsh - How do you represent 'Confidence' In a Logo? 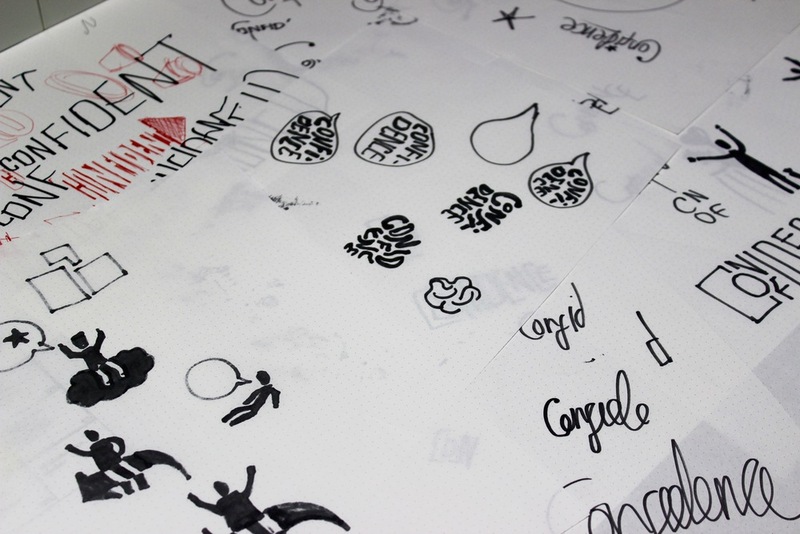 For this 2 week logo project we were split into small groups and given a word to represent in a black and white logo. 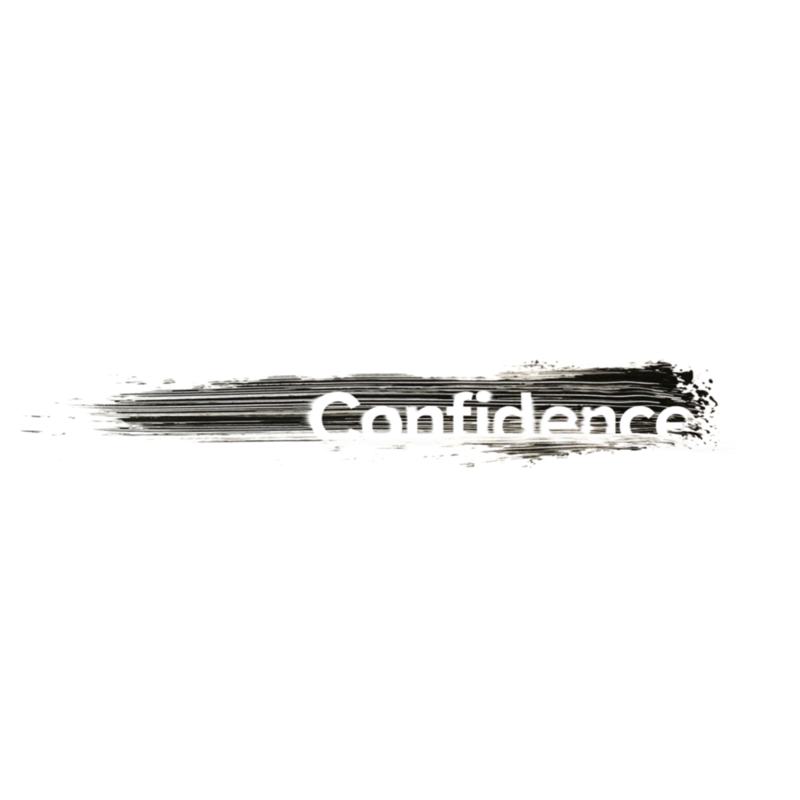 My group of 4 had the challenging task of designing a logo for the word 'Confidence'. 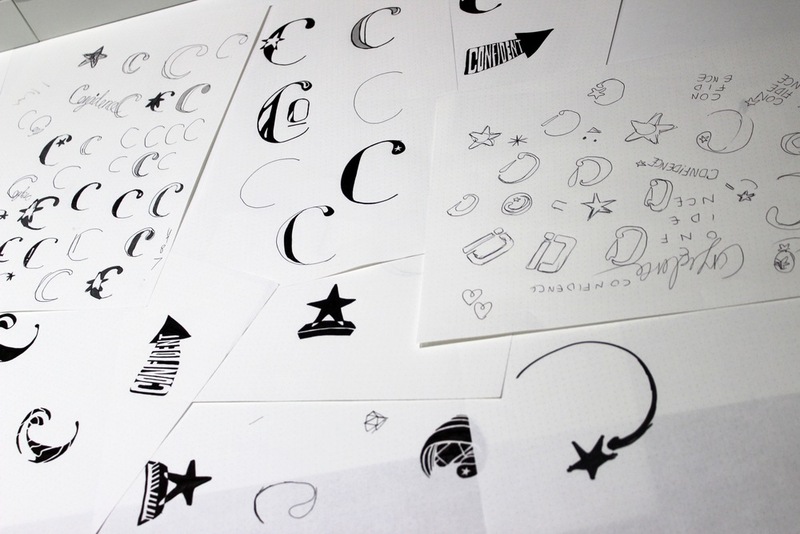 Above: Rough sketches for logo ideas. We were all asked to come back 4 days later with 25 logo concepts each, so that there would be 100 designs to choose from for the whole group. 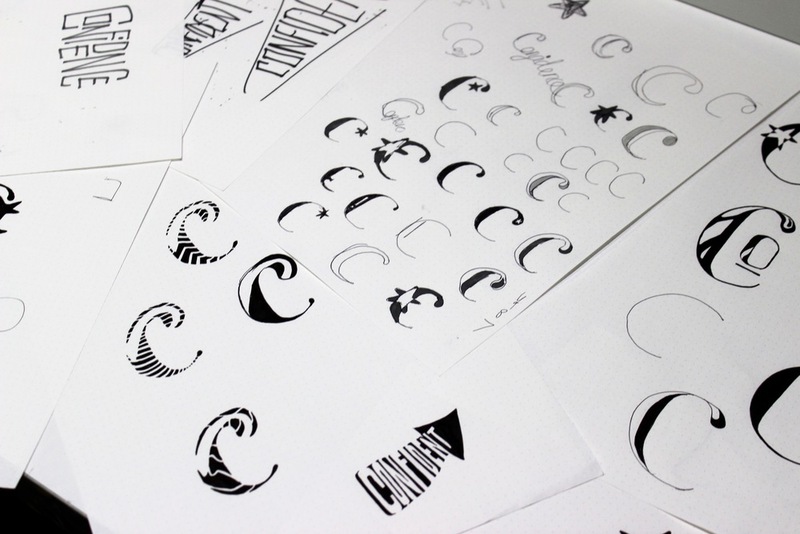 Our course tutors then picked their favourites out of the 100, and we would only refine the selected designs, even if they were designed by someone else in the group. This stage of the task felt frustrating at first, but it taught us all about what designing in the real world is like. It's all about visually representing an idea, and if the design idea is great - it will be selected for refinement. You may never work fully on a whole design as other people will add in their influences and suggestions. However 3 of my designs were chosen so I got to continue refining my ideas which was nice. Now everyone in our group was refining the same few selected designs, so it was interesting to see how everyone enhanced the same concepts in their own way. The newly refined concepts were then laid out on a table ready for the next stage of eliminations. We had a group discussion with the course tutor and one by one the designs got rejected until we had just one or two left. Above: My 4 designs for the second stage of eliminations. This stage was especially tough as we had to be brutally honest with each other when deciding what to eliminate. It was useful as it simulated a real world situation, where designs can get easily rejected if the client doesn't like them. I learnt a lot about pitching and defending design ideas as we had to stand up for our own work. Although it was tough to have designs rejected, it was good to see the clear direction of the process, and good to keep narrowing the concepts down by making solid decisions. 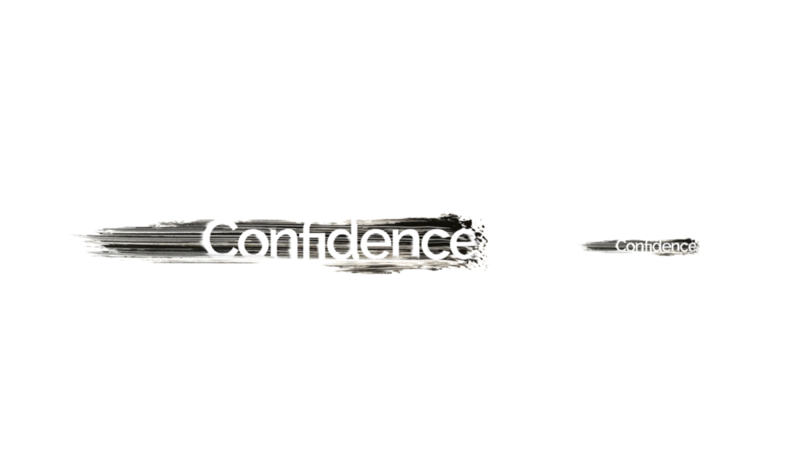 My brush stroke concept was chosen for further refinement (even though I didn't like it). Now that the 100 designs had become 2, we were all refining the same designs, so there were very little differences between them. 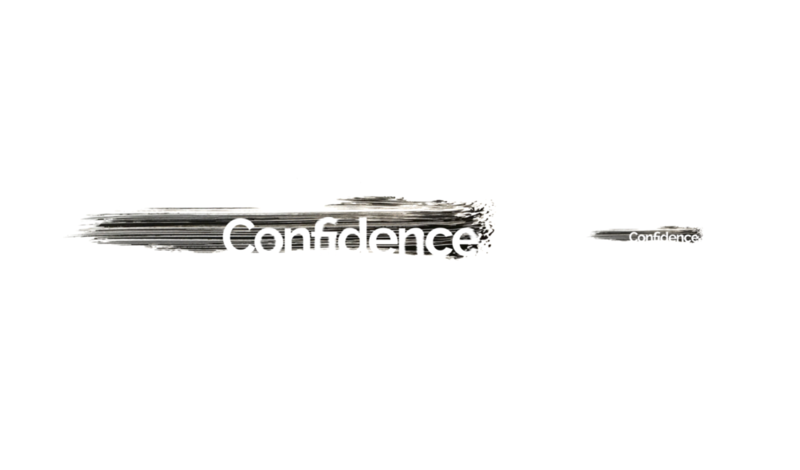 Here are my final refinements below, showing a confident brush stroke with bold, confident lettering over the top. It was one of my original ideas and lasted through all the eliminations, so people felt it had potential, I just had to refine and enhance it in the best way. 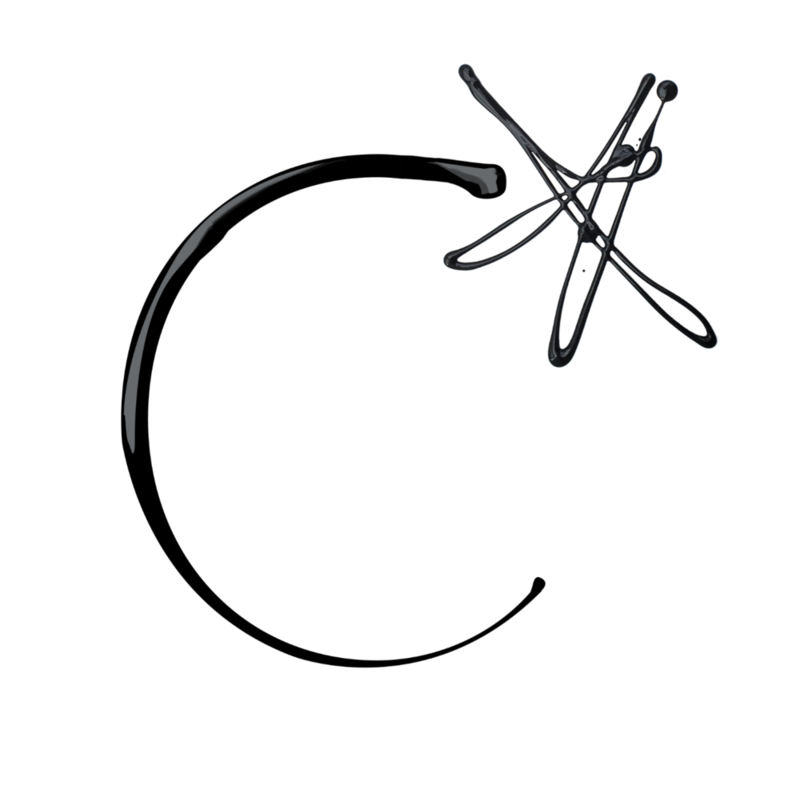 Above: Refined variations of the logo. Click or tap to enlarge. I didn't really like my final design as I prefer logos that are bold and iconic. This concept did have practical applications for branding sets, packaging and advertising however I would have preferred something more geometric and structured. 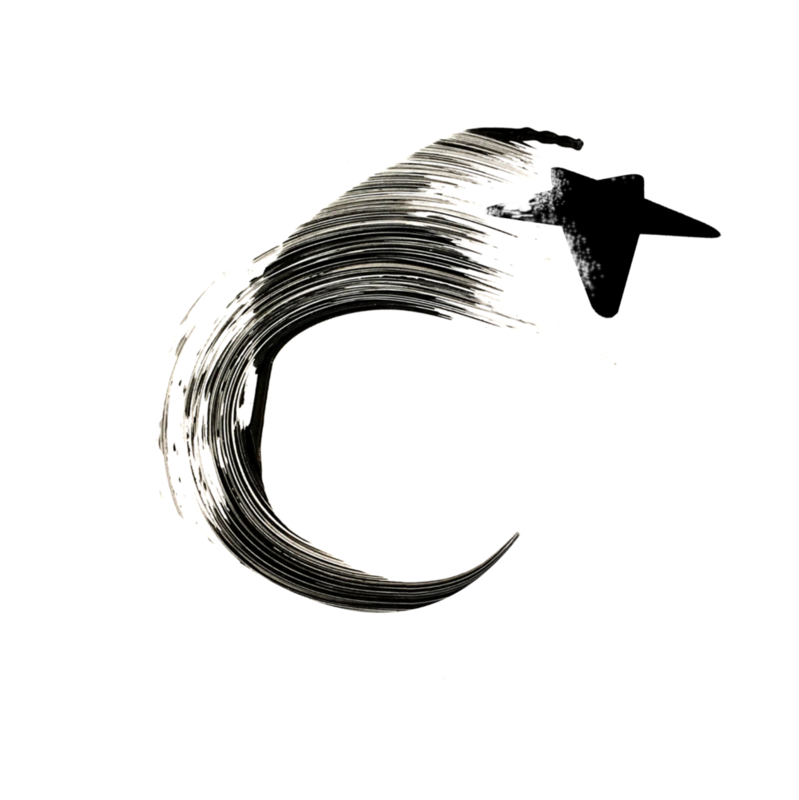 I pitched the idea of the brushstroke early on in my 25 concepts, and it was chosen for being different and having a confident, expressive 'energy' to it. 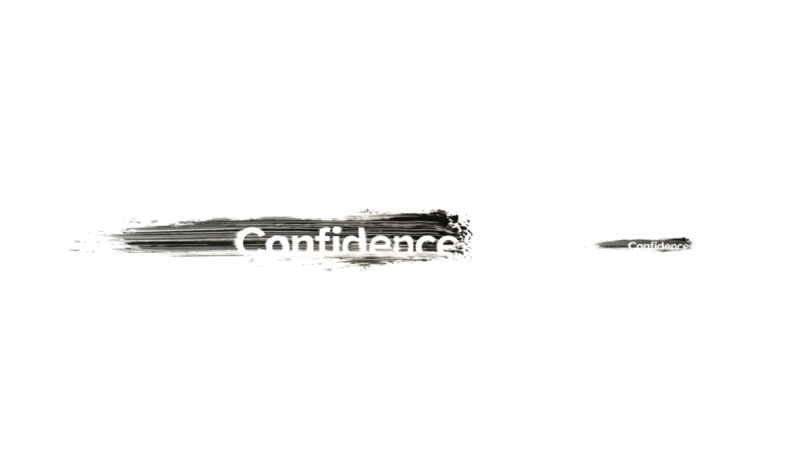 I like it in that sense, as creating a fast brush stroke takes a organic, human confidence; which did make it stand out when compared to other fully digital designs. I used paint to create dozens of real brush strokes. I think early on we learned that this two week project was not so much about the design we ended up with, but the process of designing, collaborating, refining and presenting our ideas. This project really opened up my thinking towards the creative process, and although the logo eliminations felt like the an Art School version of the Hunger Games, it was great way of showing us what it's like working in a competitive, creative world. I have learnt so much from this project about embracing the variety of ideas you get from working in a team and collaborating. Although I pretty much hate the final design I created, the conceptual idea of it was strong enough to last through the entire process - which was a good feeling, and I have learnt so many valuable lessons about design, teamwork and collaboration which is extremely rewarding. Despite not liking the outcome, it has been one of my favourite projects as it completely opened up my thinking.